← A fool’s errand…or a deadly trap? Surveillance, incompetence, blame and knife-throwing are just some of the themes running through my latest play to be published by Silver Moon. The cover of ‘A Clandestine Operation’ which I designed to be spooky and worrying. ‘A Clandestine Operation’ is set in a room where two men and their supervisor are keeping an eye on events taking place beyond a locked door. Their mission is simple: to open the door and infiltrate the proceedings outside. But things do not go according to plan – and they have to face the problem of who is to blame. No-one wants to take responsibility so scapegoats are sought. Possible candidates include Albert Einstein and God. I began writing this play a few years ago to while away my lunch hours at the University of Wales, Newport where I worked as the Press Officer. It was a great way to escape from work for a while. I was no longer in my office but in an anonymous shabby room where something mysterious and vaguely sinister was happening. I describe the set as steampunk meets film noire. ‘A Clandestine Operation’ is set in a room where two men and their supervisor are keeping an eye on events taking place beyond a locked door. 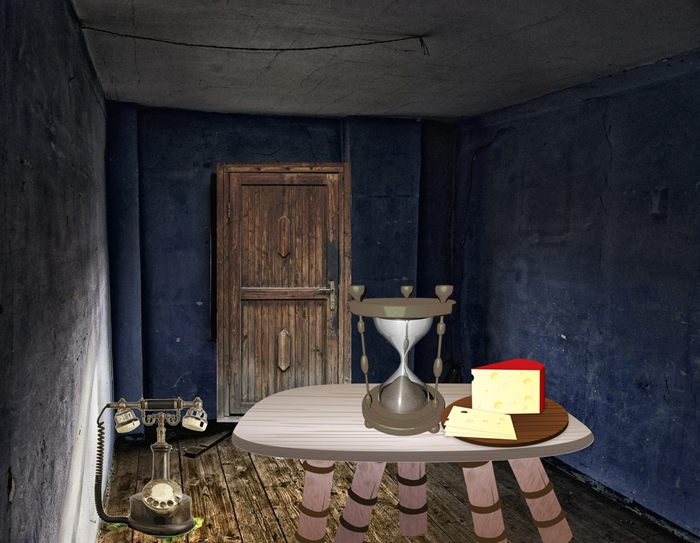 There are dark shadowy corners, a table with a large ornate hourglass, and an ancient telephone on the bare floor. A dark doorway leads to the rest of the building which, we discover, includes a pantry housing all manner of useful things – but no pickled onions. I liked the idea of a play set in a room where the characters are focused on what is happening outside – and what is happening there is conveyed though a strange assortment of weird and wonderful sound effects. Barrel organs, fireworks, trumpets, crowd noises and unintelligible loudspeaker announcements conjure up a world beyond the door where some sort of celebration or festival is taking place. The outside world is viewed through a keyhole. The two men are unable to open the door so must watch through the keyhole. 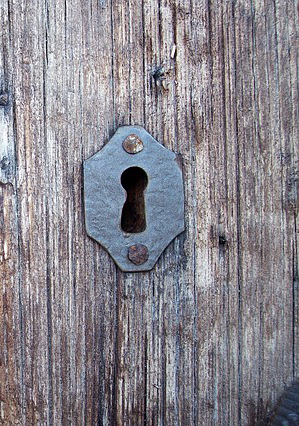 What they see doesn’t always tally with the sounds and there are suspicions that at least one of the men doesn’t know how to look through a keyhole. Their officious supervisor keeps popping in to check on their progress and she is not happy with the way things are going. To make it quicker to type the dialogue I named the characters simply A, B and C. When I returned to the play a couple of years later and decided to revise it I gave them names – A, B and C became Adler, Bray and Crowe. I also switched from writing in Word to using Scrivener, my favourite script-writing program which I’ve written about before. 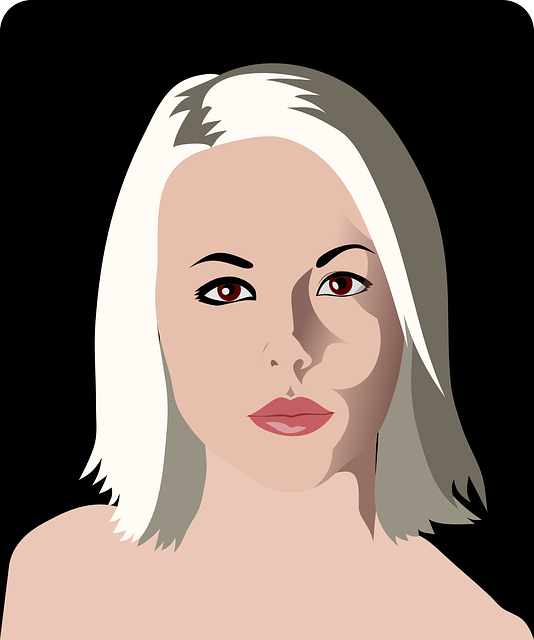 Enter Dawn – a knife-thrower’s assistant in search of a knife-thrower. Coming back to the play, I decided that another character was needed – someone who comes in by accident from outside. Enter Dawn, a knife-thrower’s assistant, who blunders into this top secret world of surveillance and intrigue. She is part of the entertainment taking place beyond the door – but her arrival is met with suspicion and she is interrogated by Crowe, who is a sneering, supercilious character. An innocent abroad, Dawn finds herself trapped in a room where people who may – or may not – be spies are writing a report on the failure of their mission – and apportioning blame for its lack of success. Ever helpful, Dawn ends up practically dictating suitable phrases for the report as Bray struggles to write it on parchment with a quill pen. Fear creeps in as the phrase “heads will roll” keeps recurring. Adler goes off to deliver the report leaving the others to await their fate as, outside, even more sinister events begin to unfold. 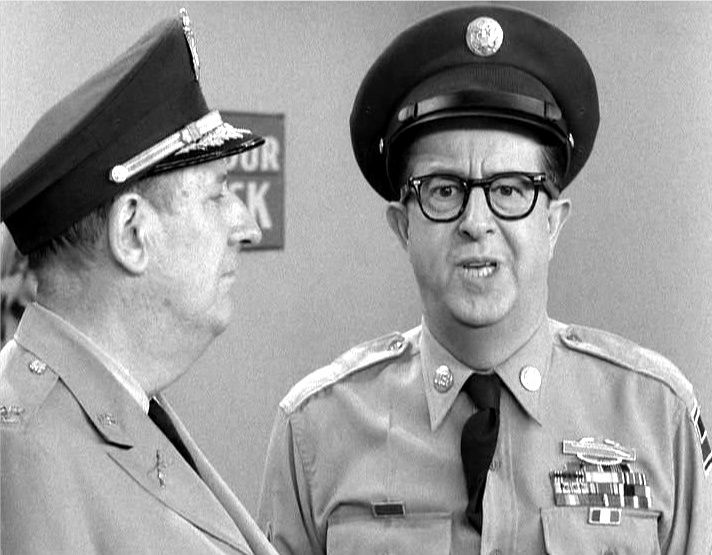 Colonel Hall and Sgt Bilko – roles that Terry and I often adopted. When it was published, I dedicated the play to a friend of mine who died last year. Terry Stephens was a genuinely funny guy who, like me, was a big fan of Sergeant Bilko which we grew up watching in the 1950s. In fact, our correspondence often centred on his being the Colonel Hall to my Bilko, following a routine we had developed from the TV show. A larger than life character who loved playing elaborate pranks, he was strangely secretive about his private life and even his whereabouts. I think that as Terry was a real “man of mystery” he would have appreciated ‘A Clandestine Operation’. I hope drama groups and societies will visit Silvermoon Publishing for details of all my plays and hopefully stage them. ‘A Clandestine Operation is also available on Amazon. 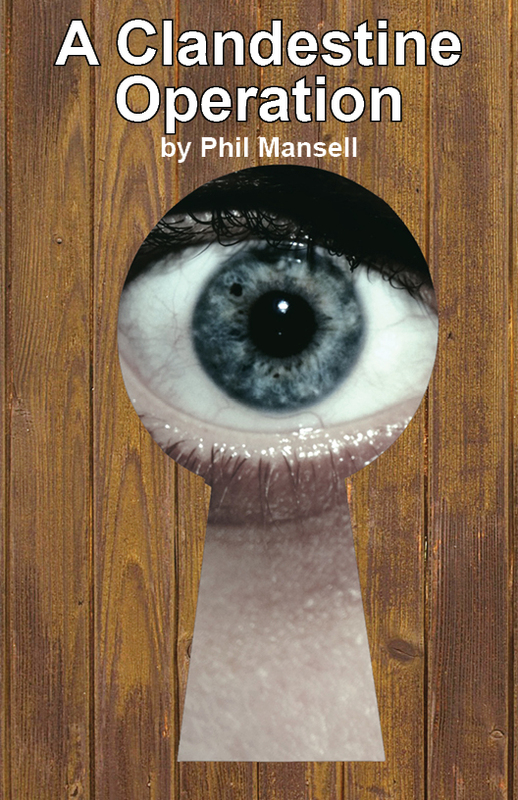 This entry was posted in Uncategorized and tagged A Clandestine Operation, amateur theatre, Amazon, amdram, blame game, book cover, drama, film noire, interrogation, keyhole, knife-throwing, locked door, new writing, Phil Mansell, Plays by Phil Mansell, playwright, plot, Silvermoon Publishing, steampunk, surveillance. Bookmark the permalink.